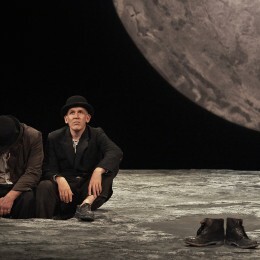 Waiting for Godot | Ros Kavanagh. 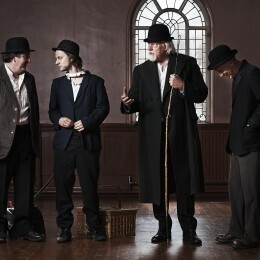 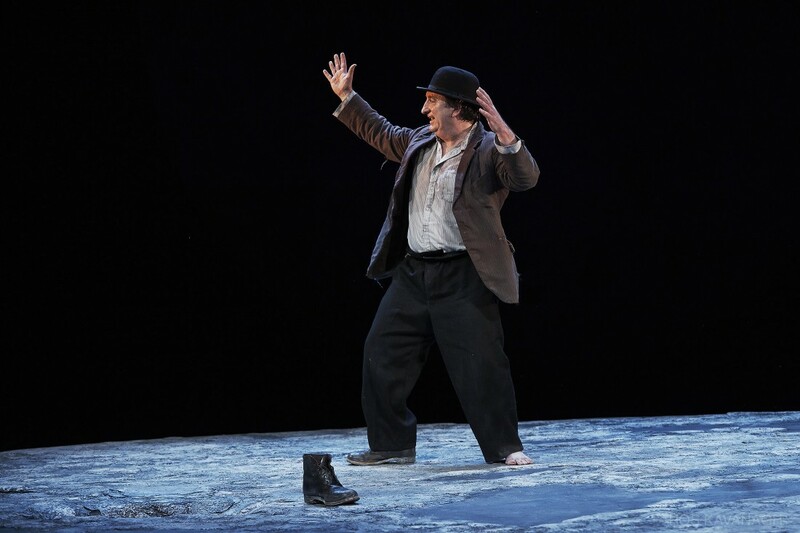 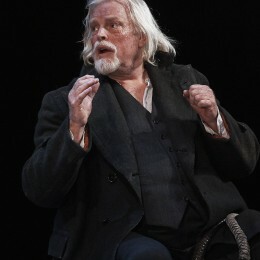 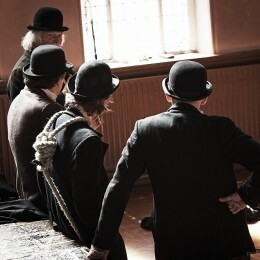 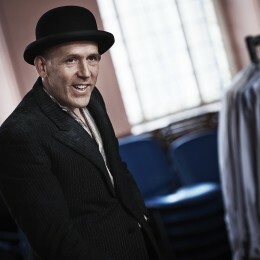 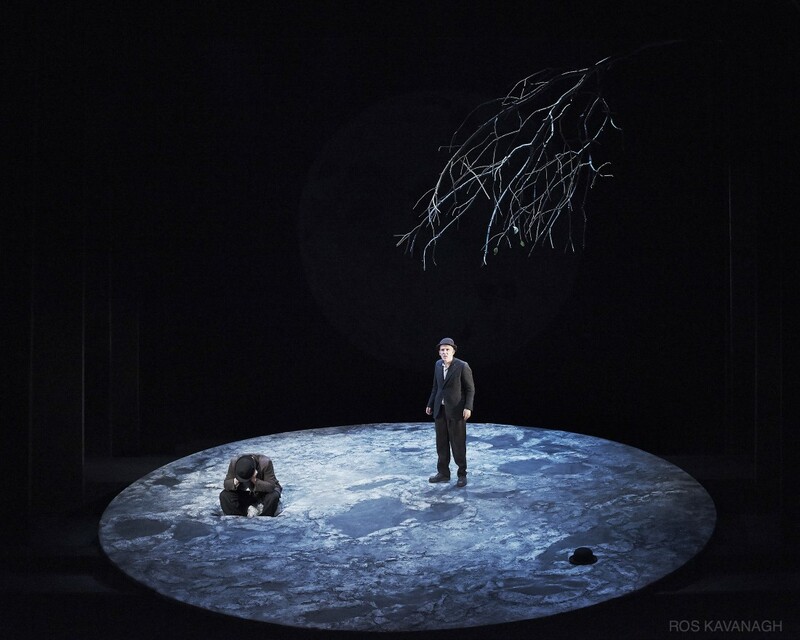 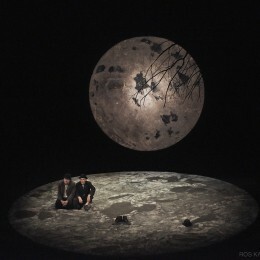 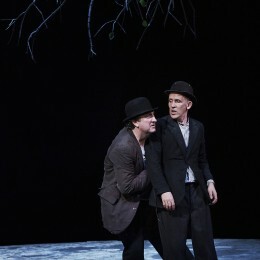 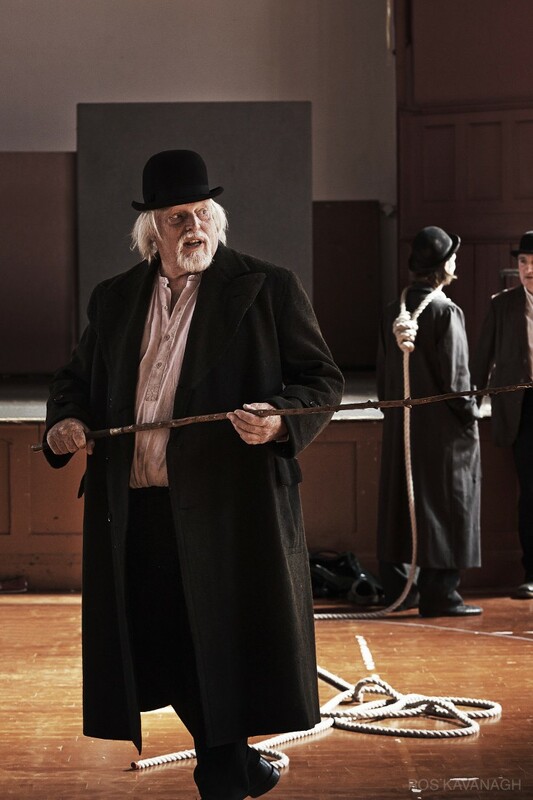 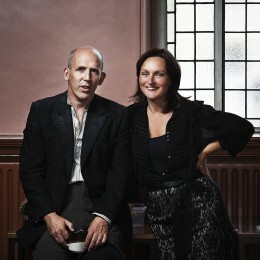 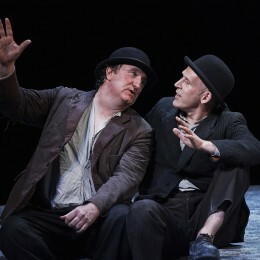 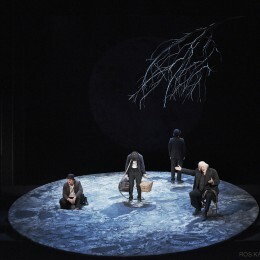 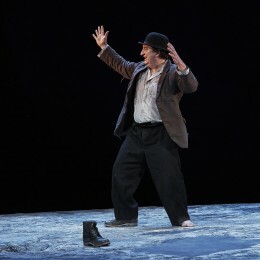 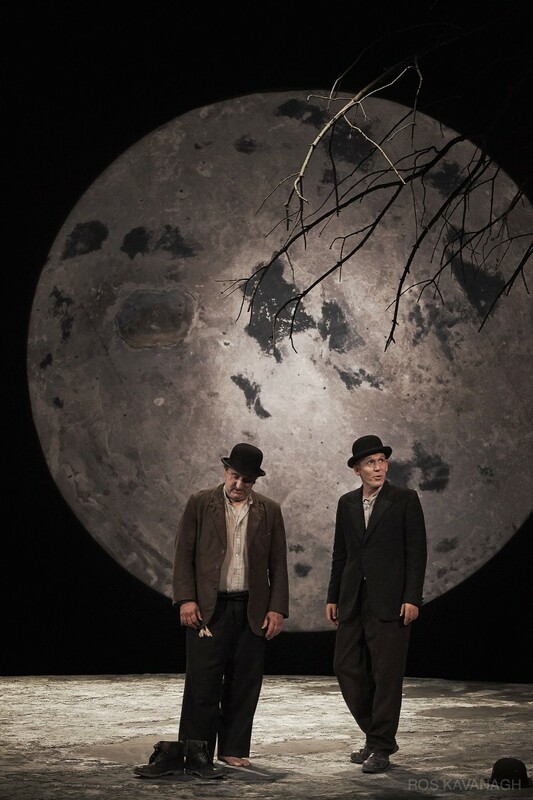 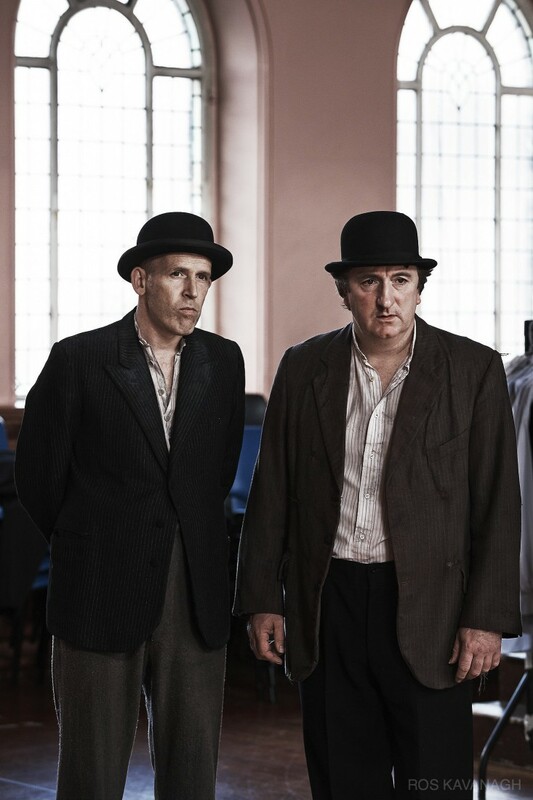 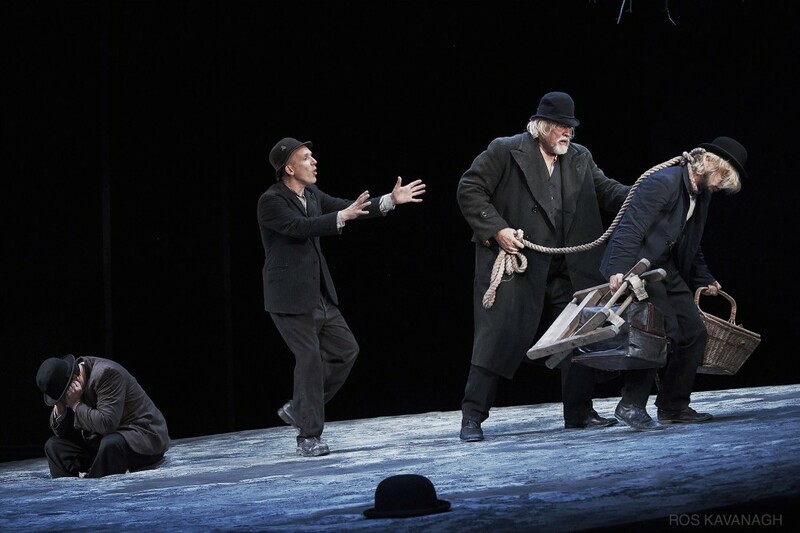 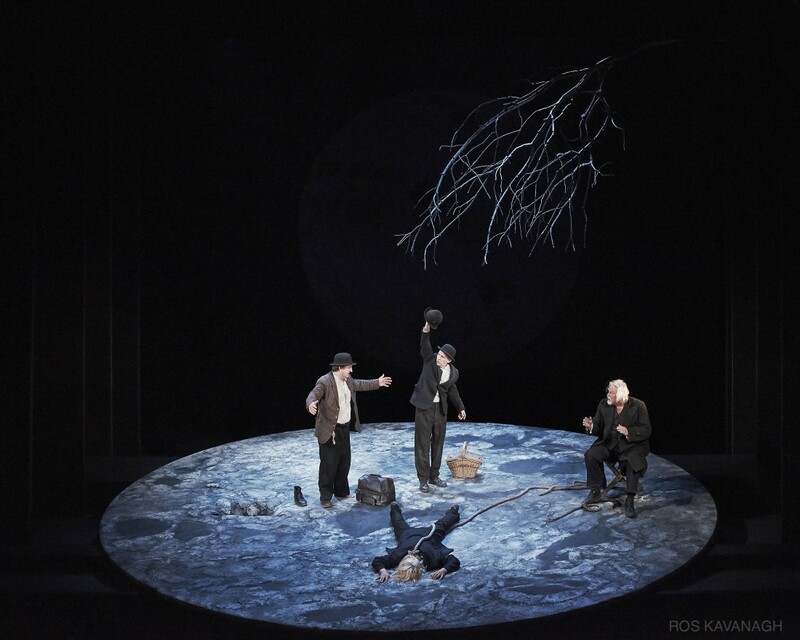 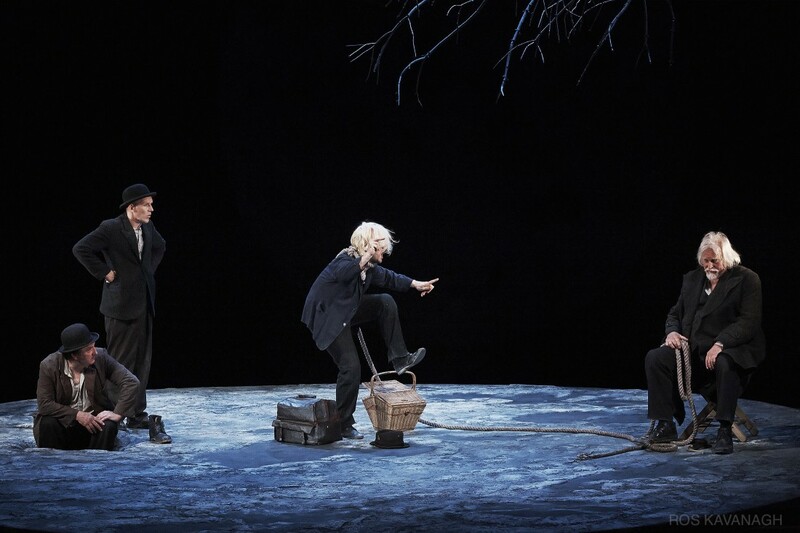 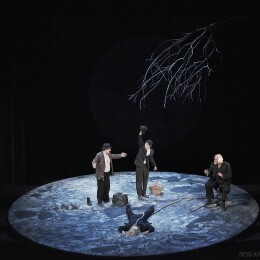 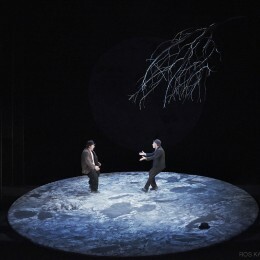 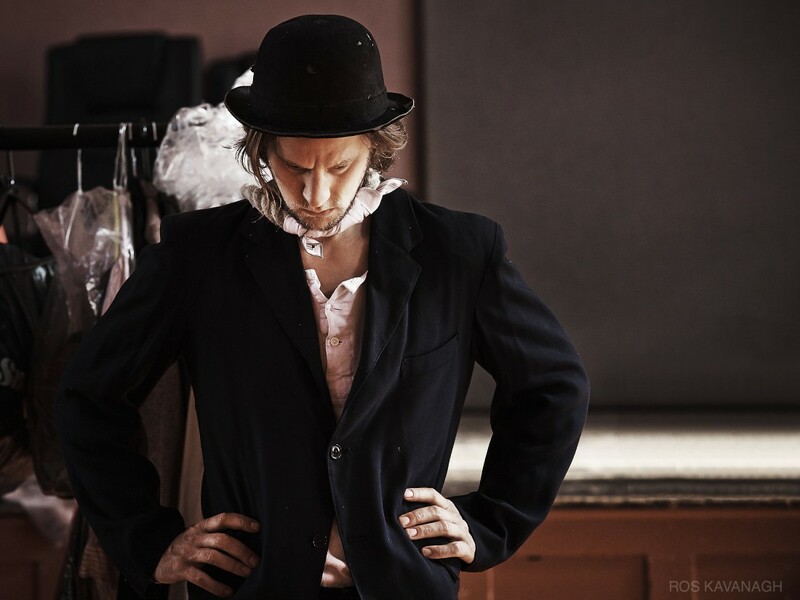 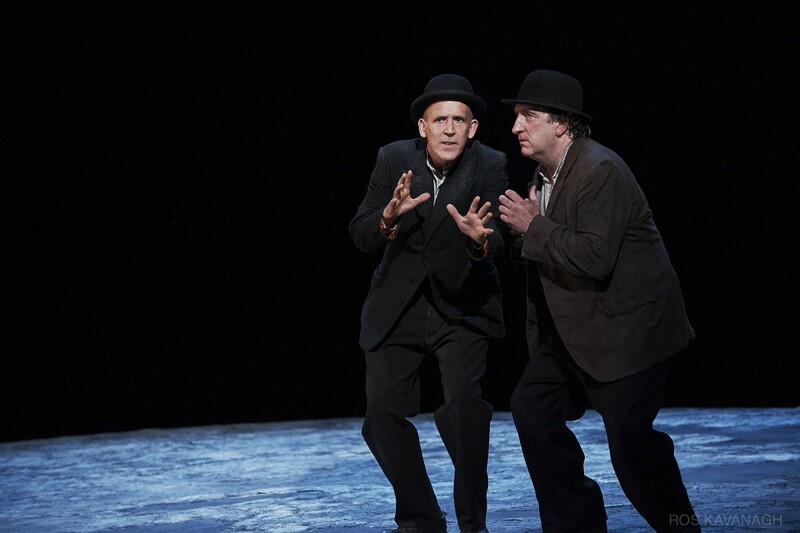 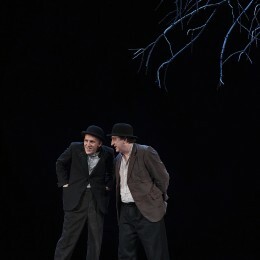 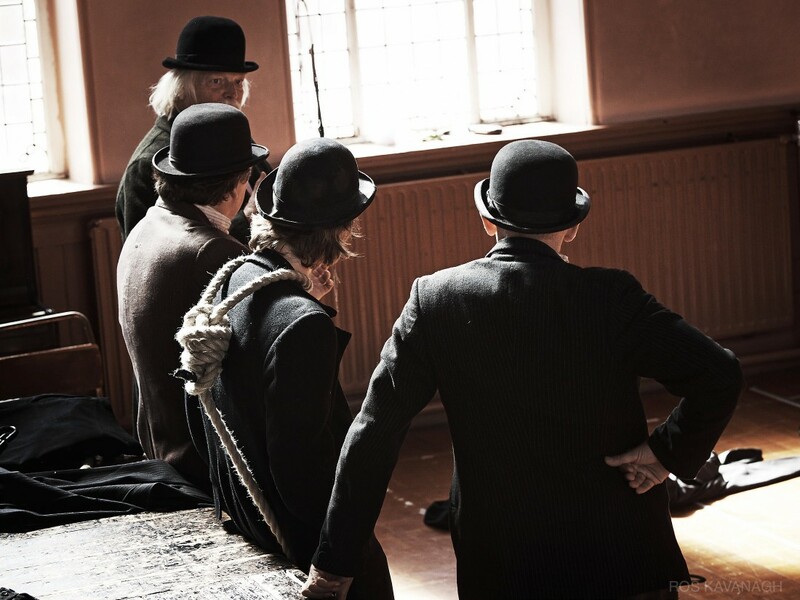 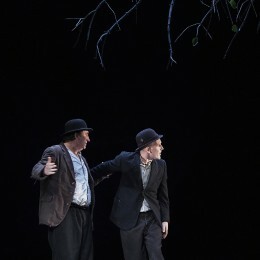 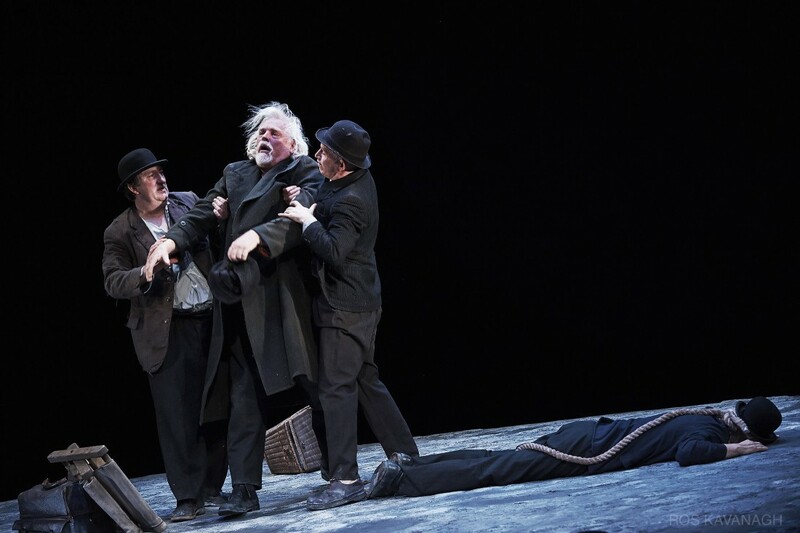 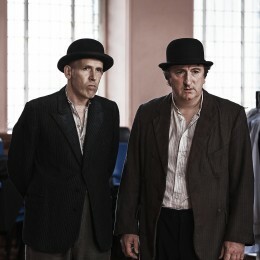 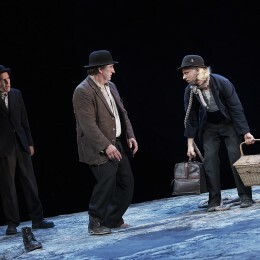 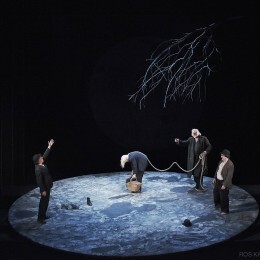 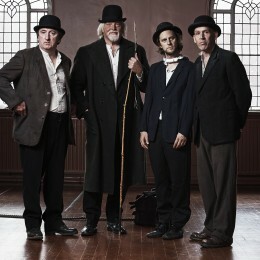 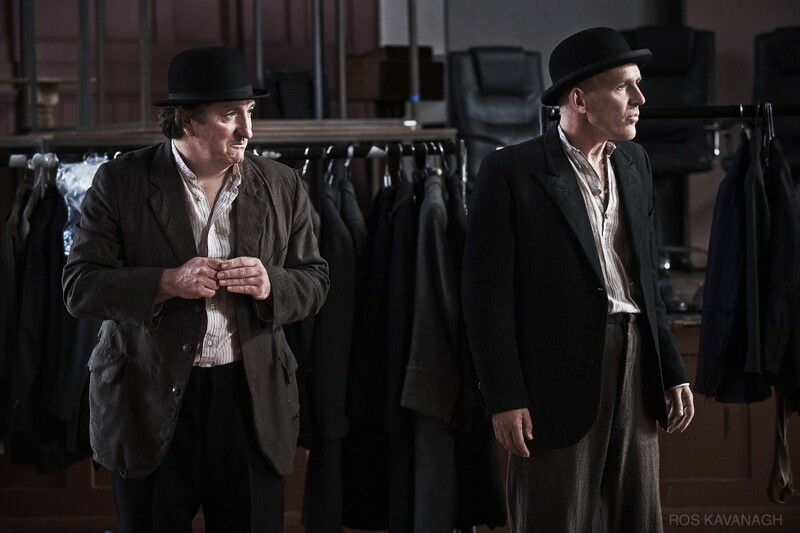 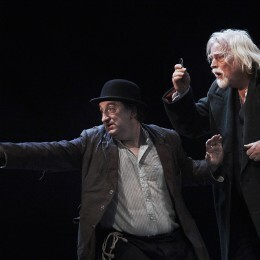 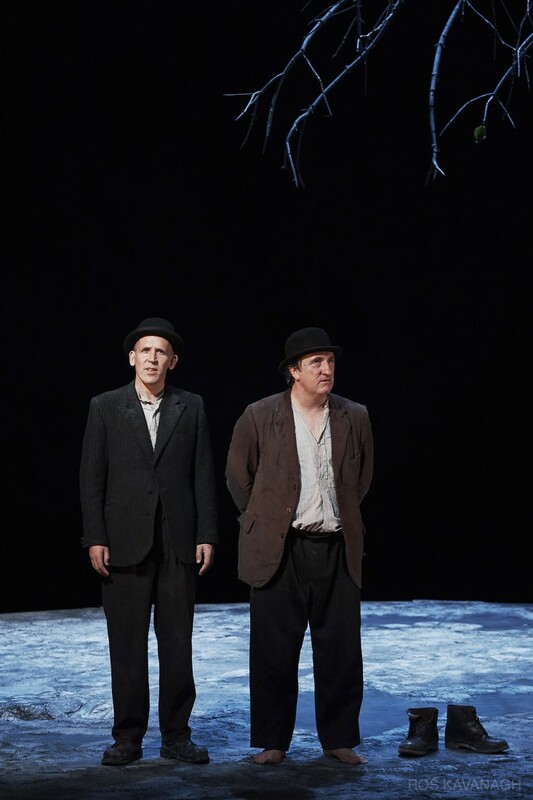 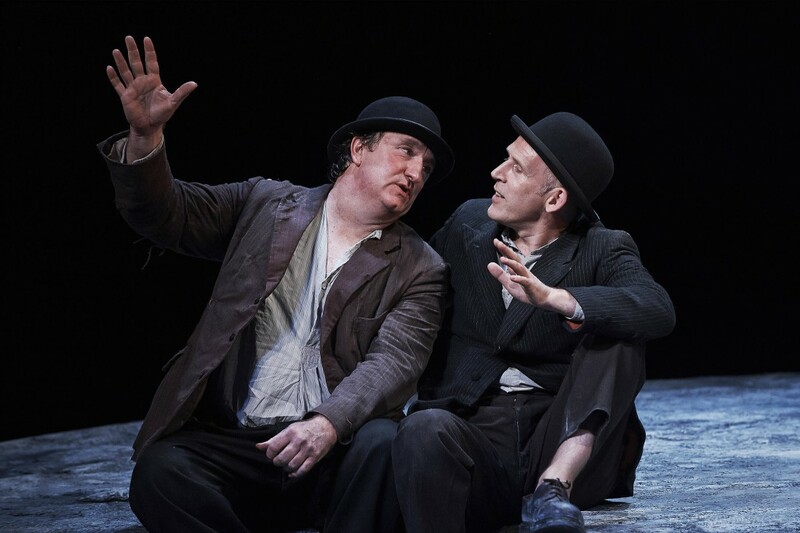 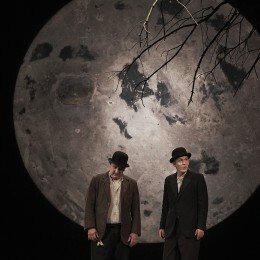 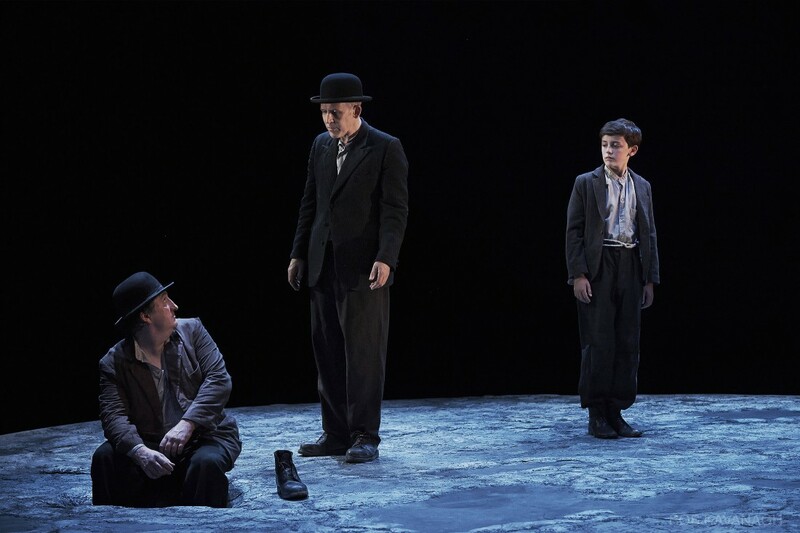 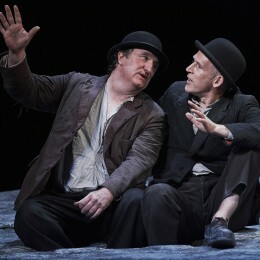 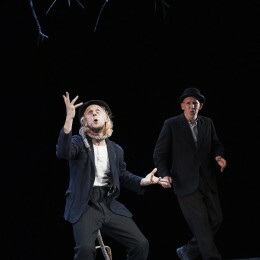 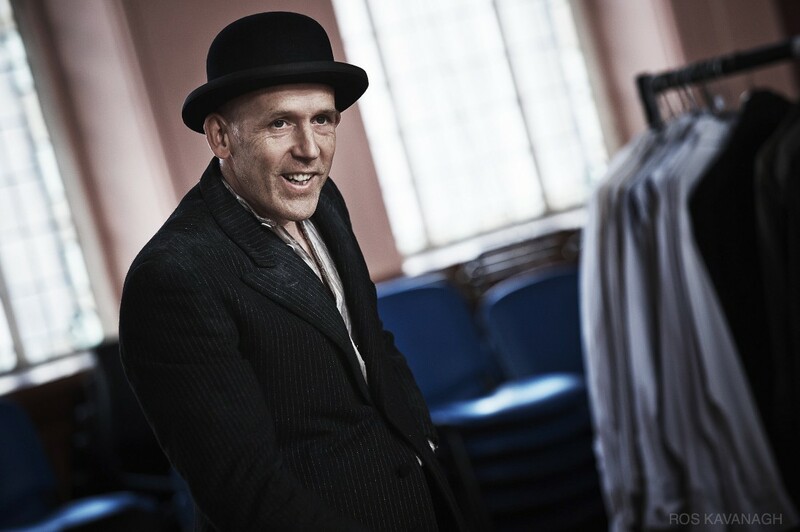 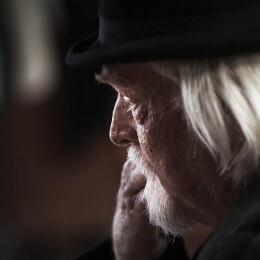 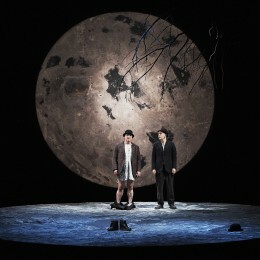 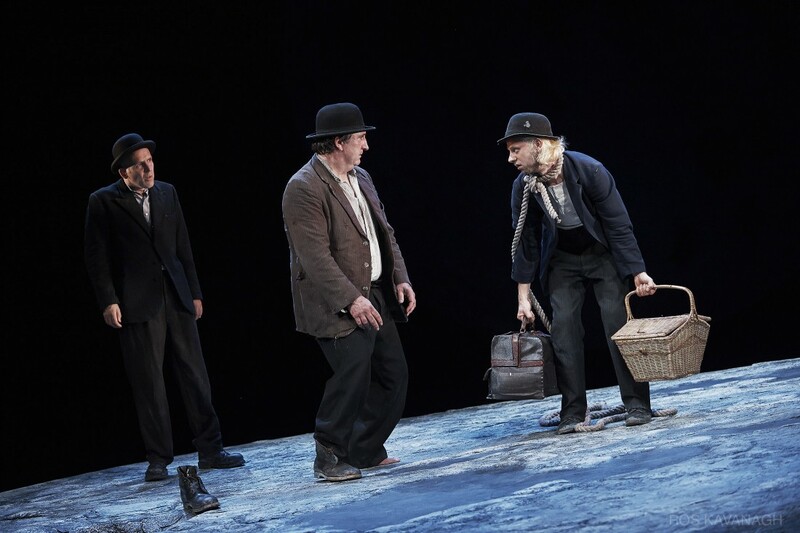 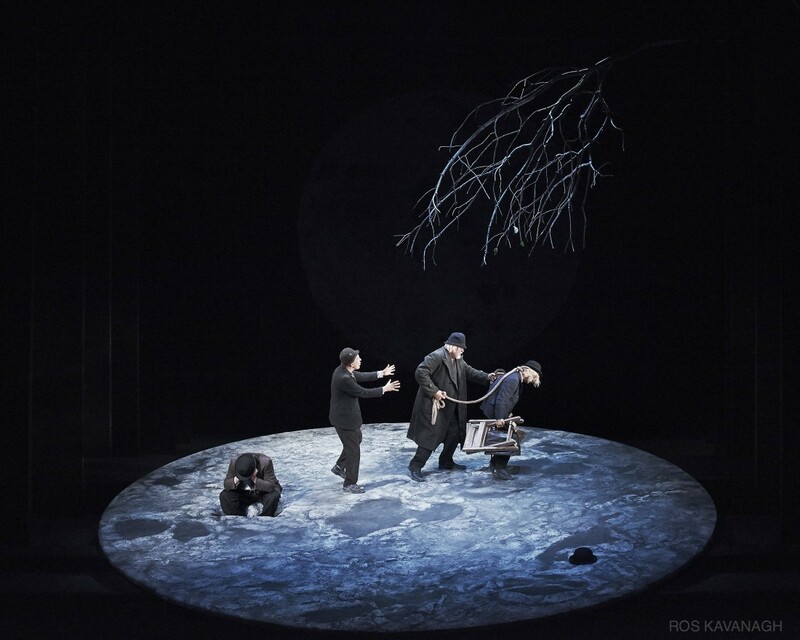 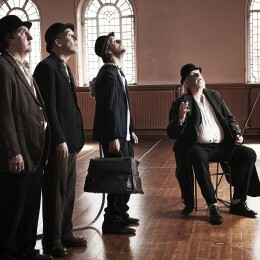 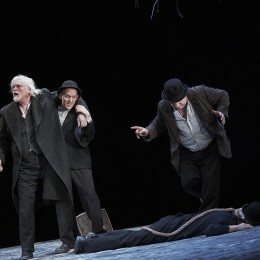 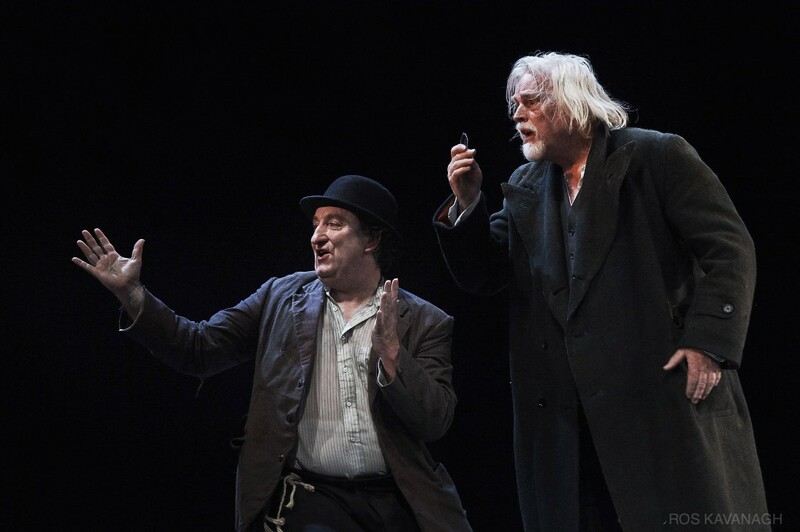 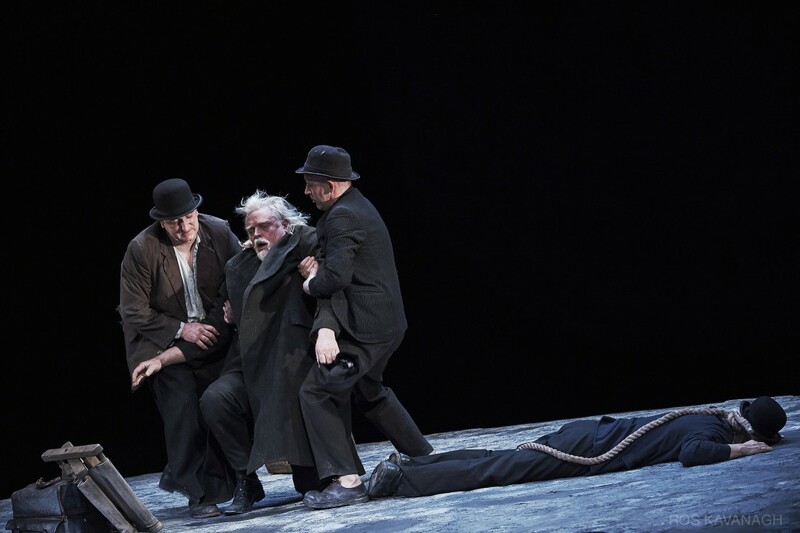 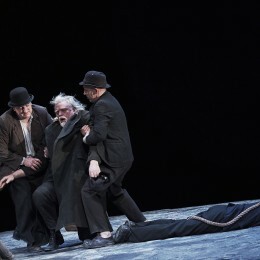 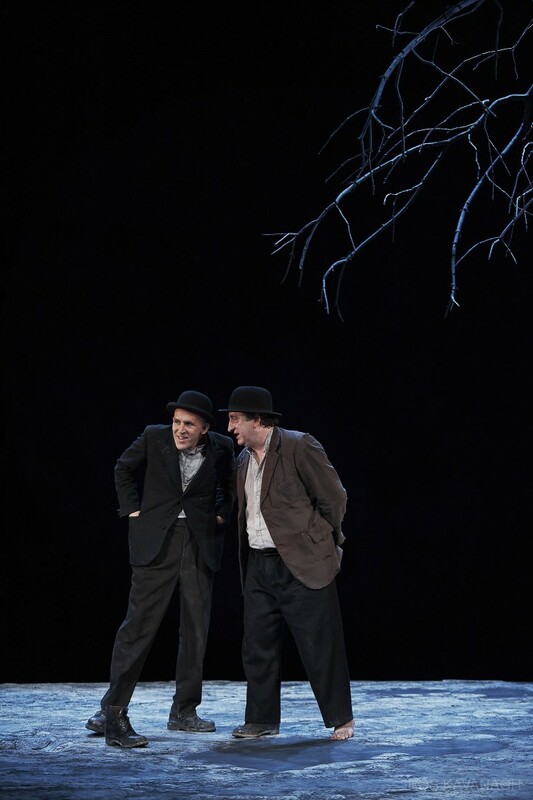 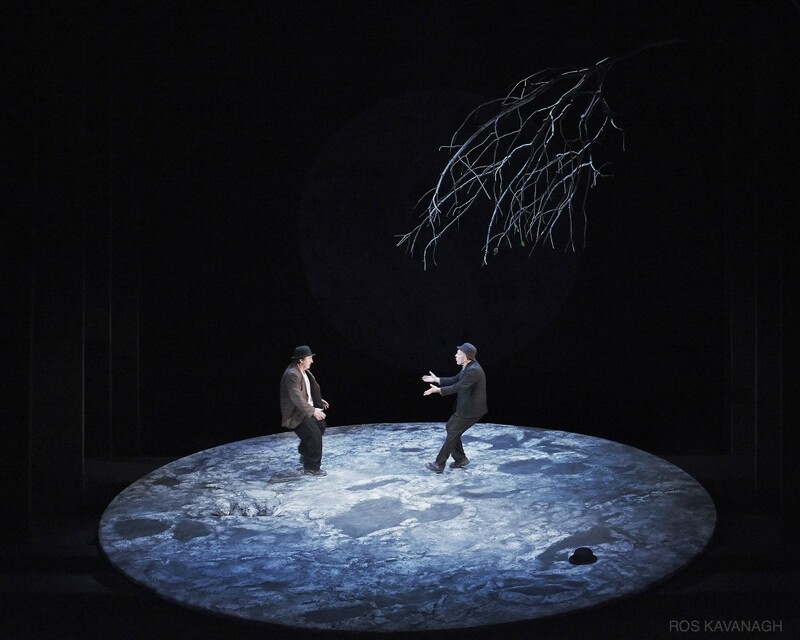 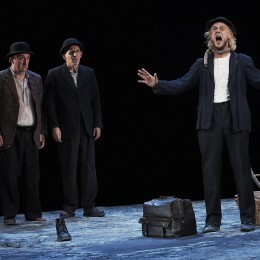 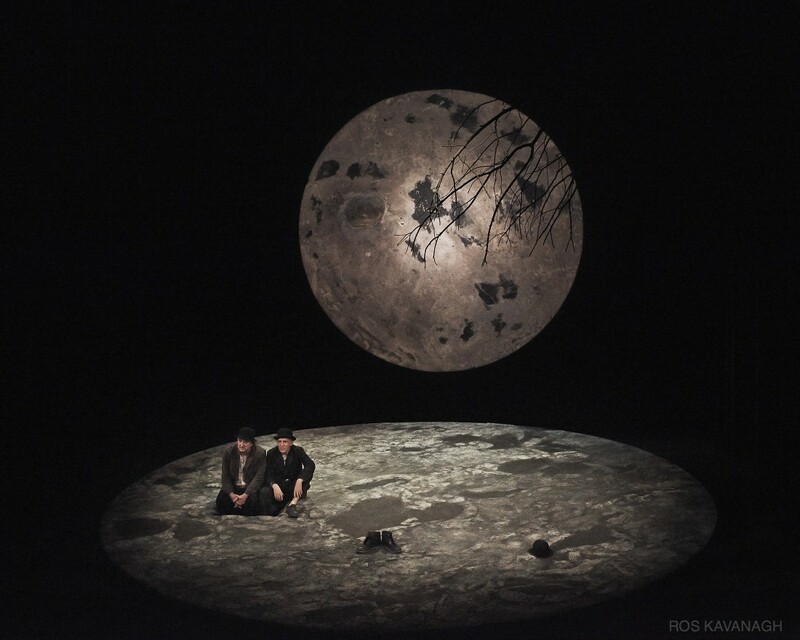 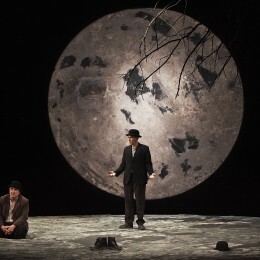 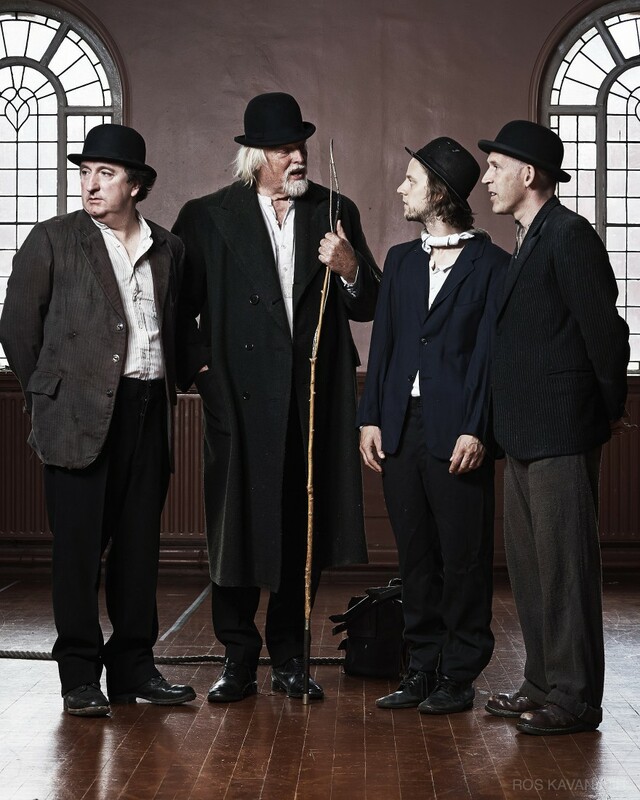 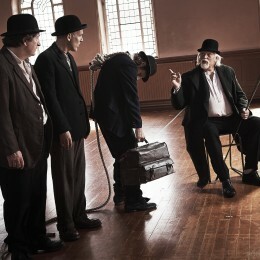 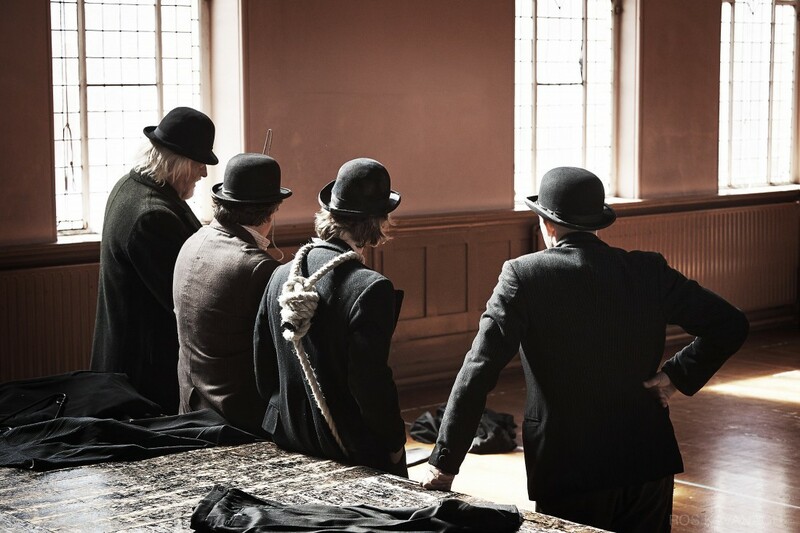 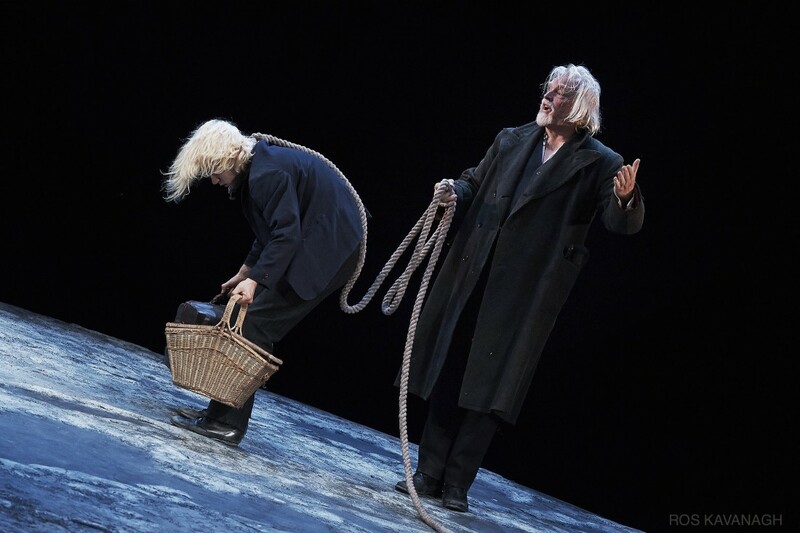 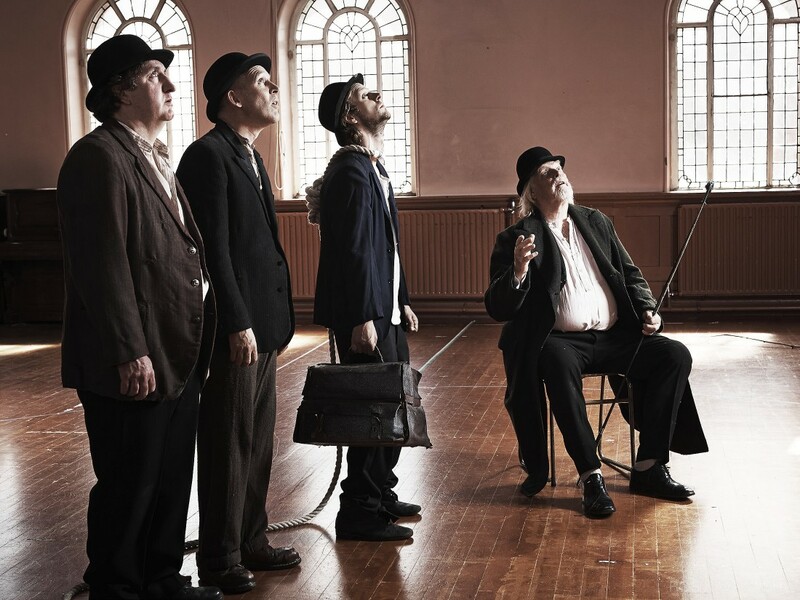 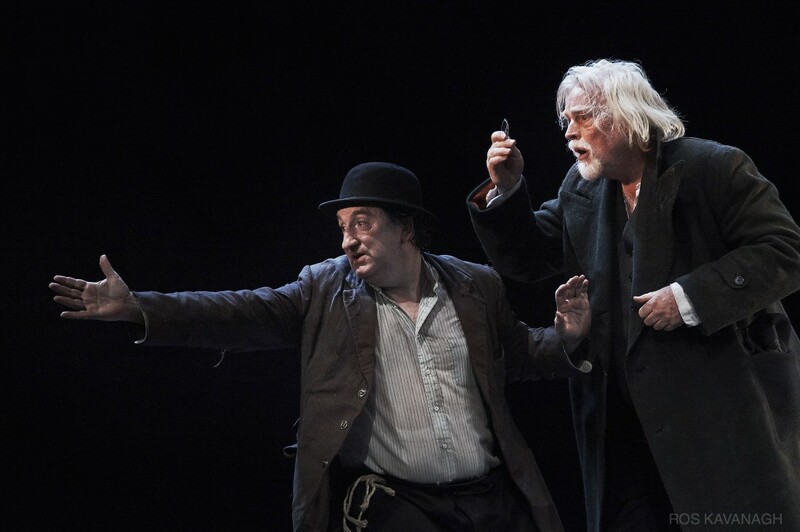 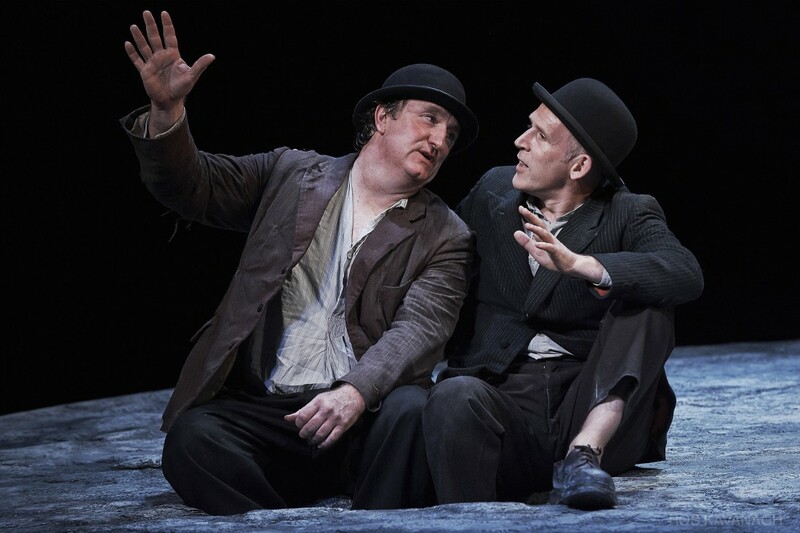 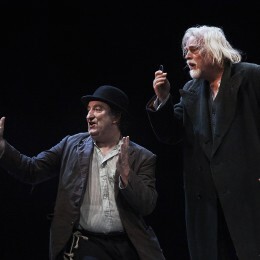 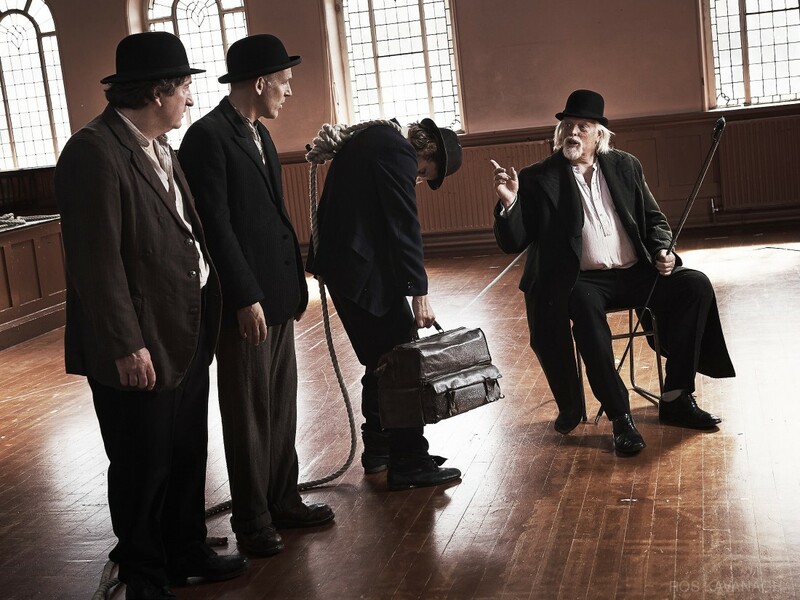 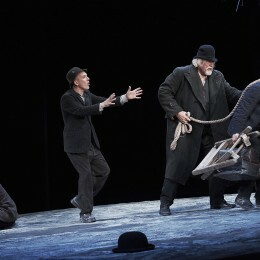 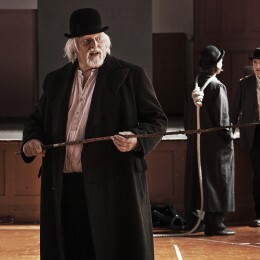 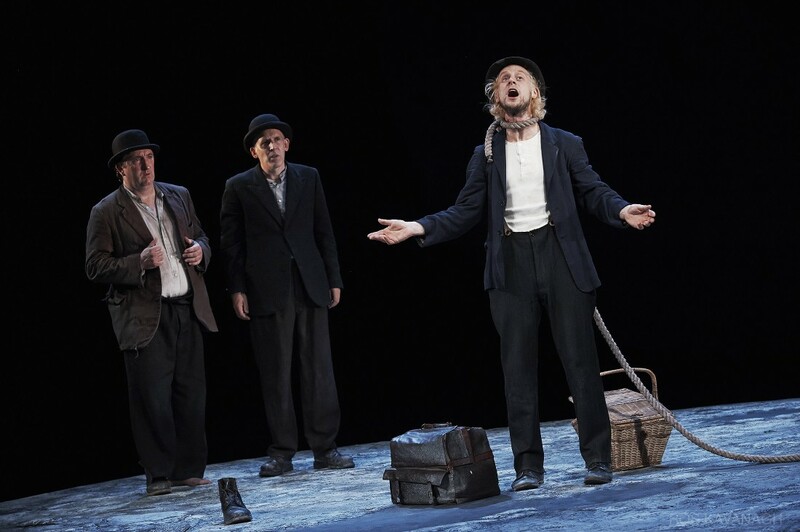 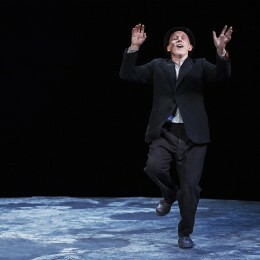 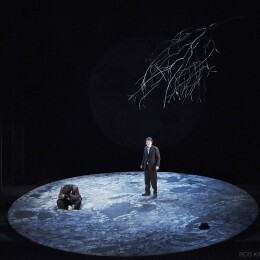 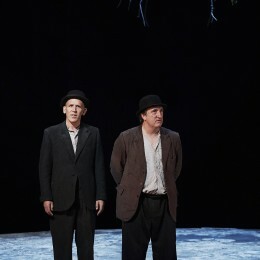 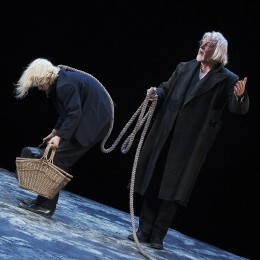 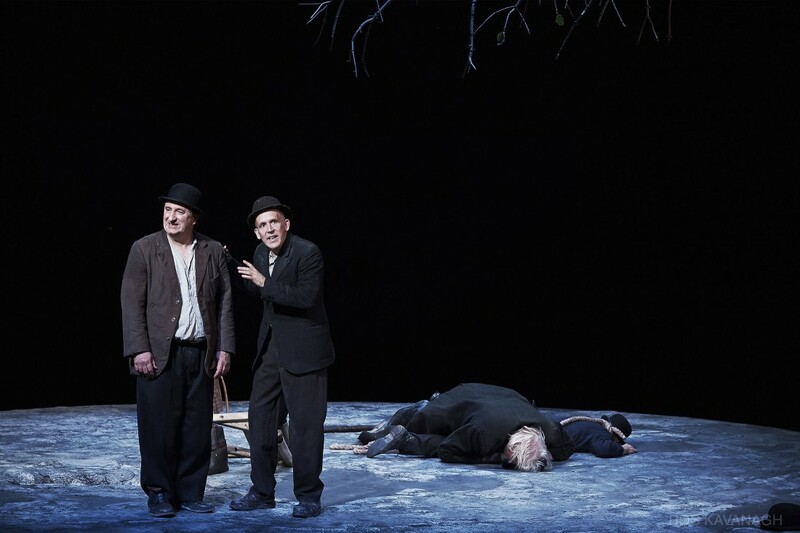 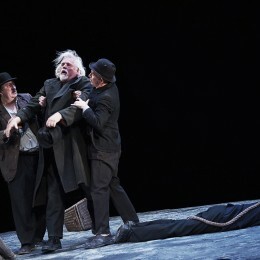 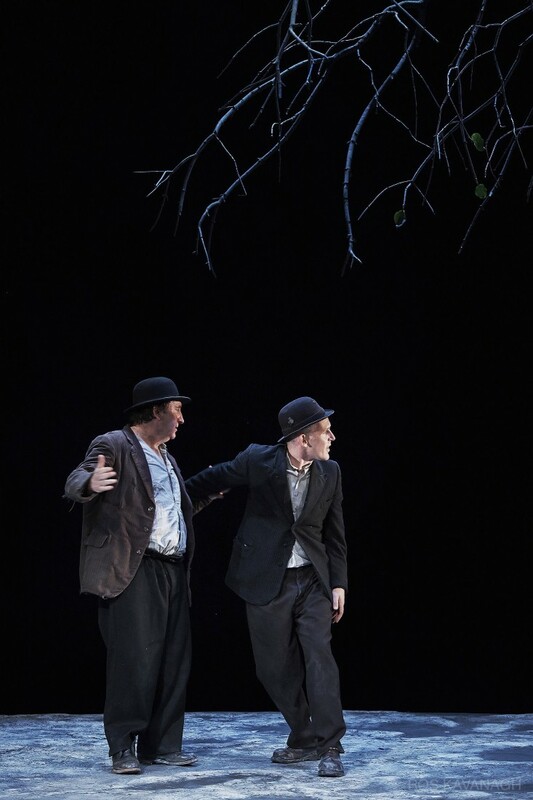 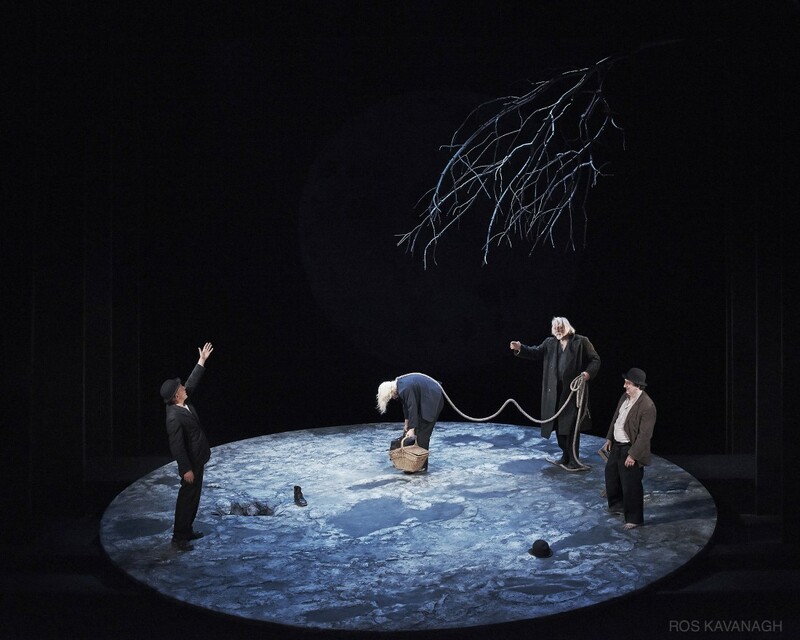 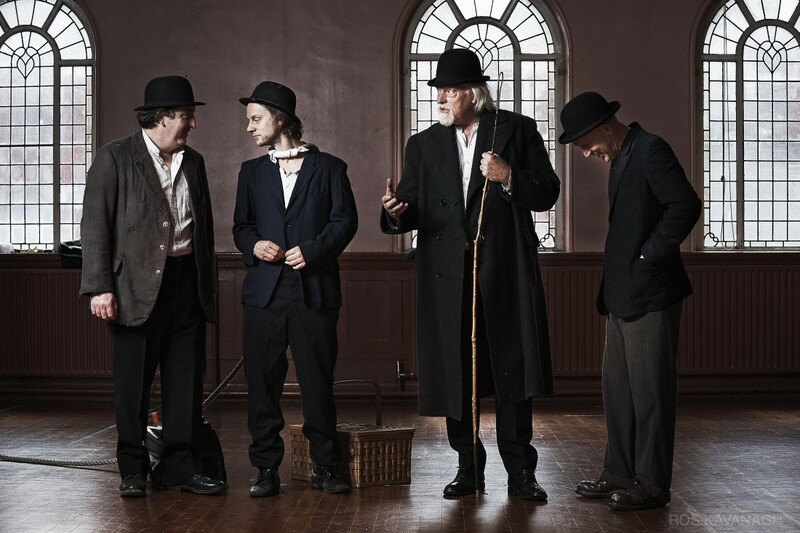 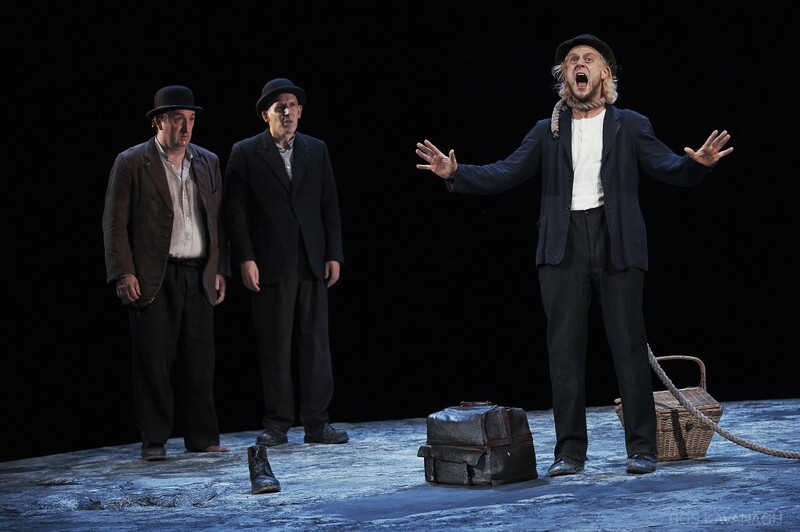 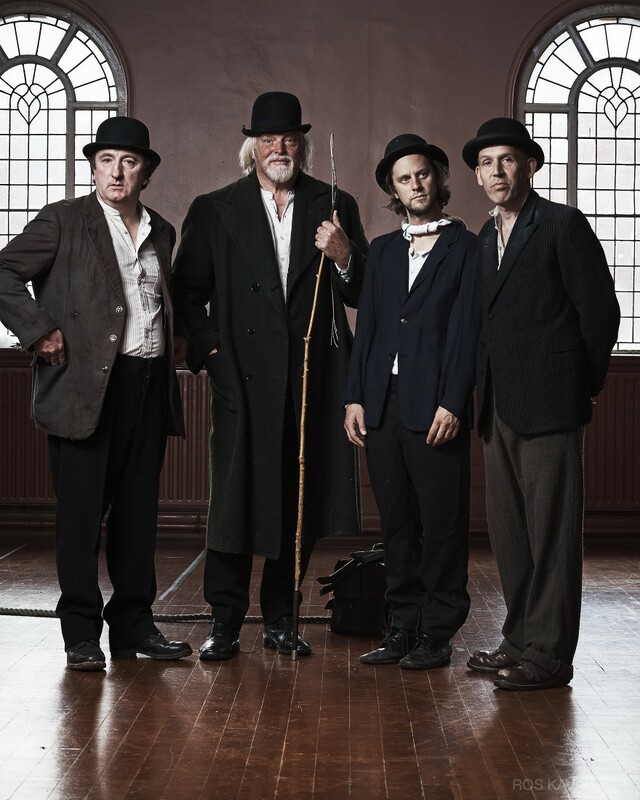 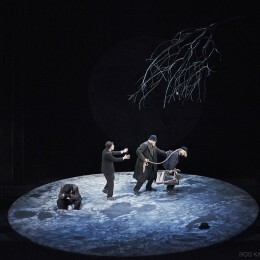 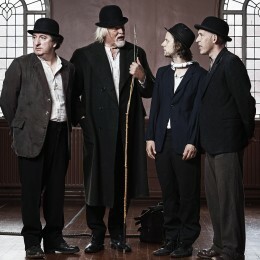 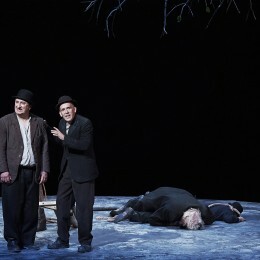 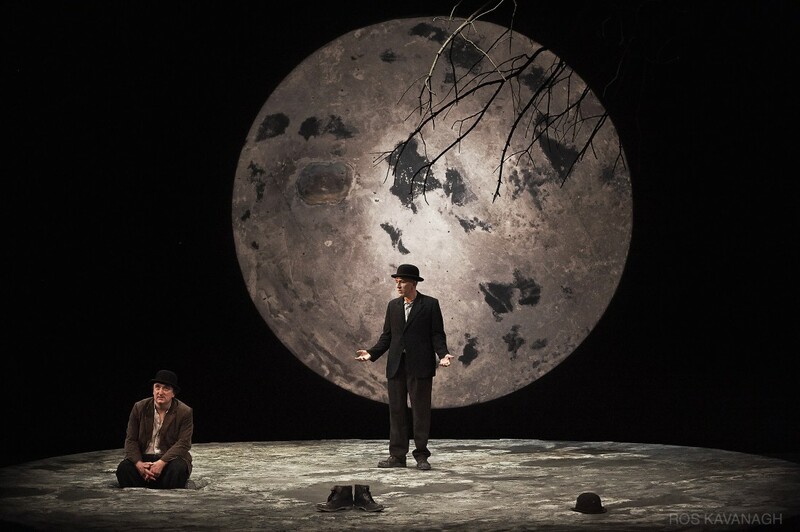 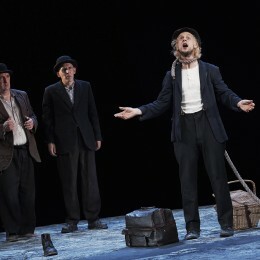 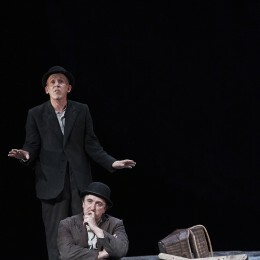 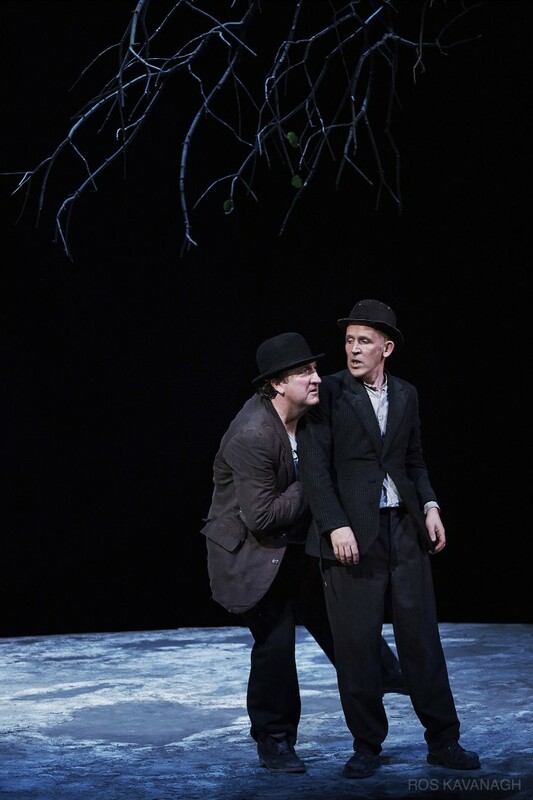 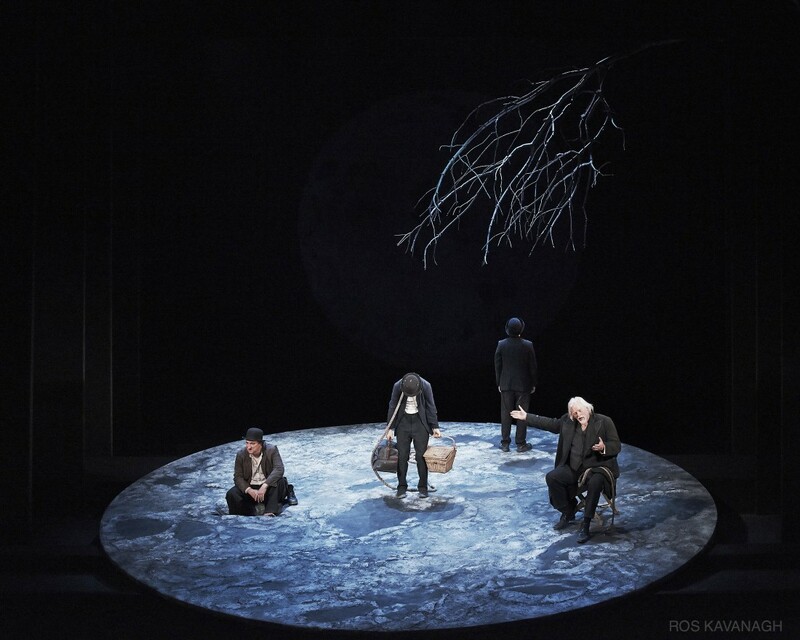 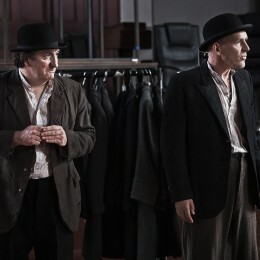 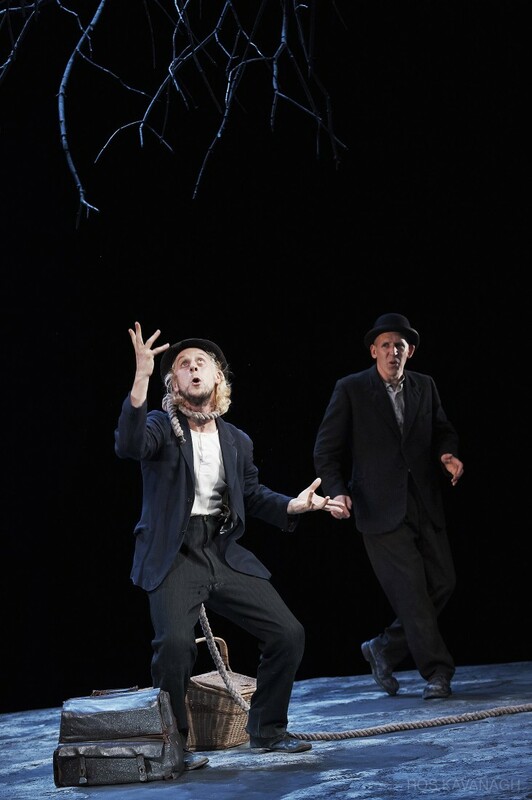 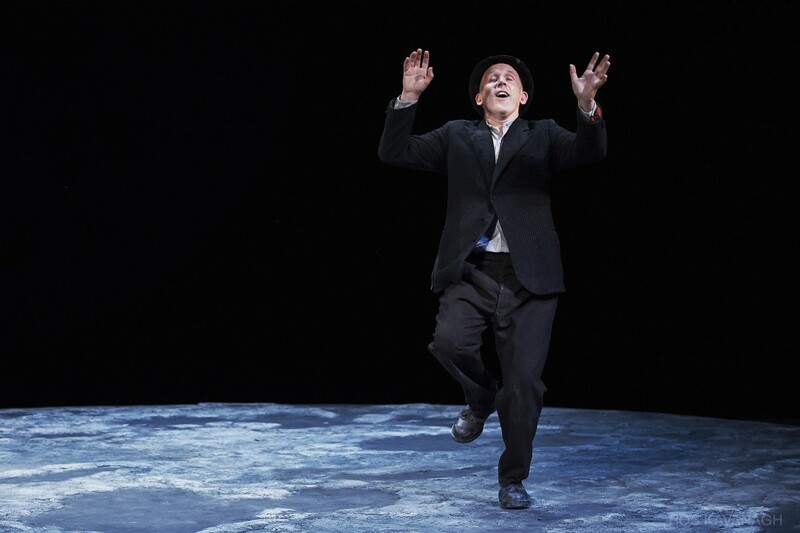 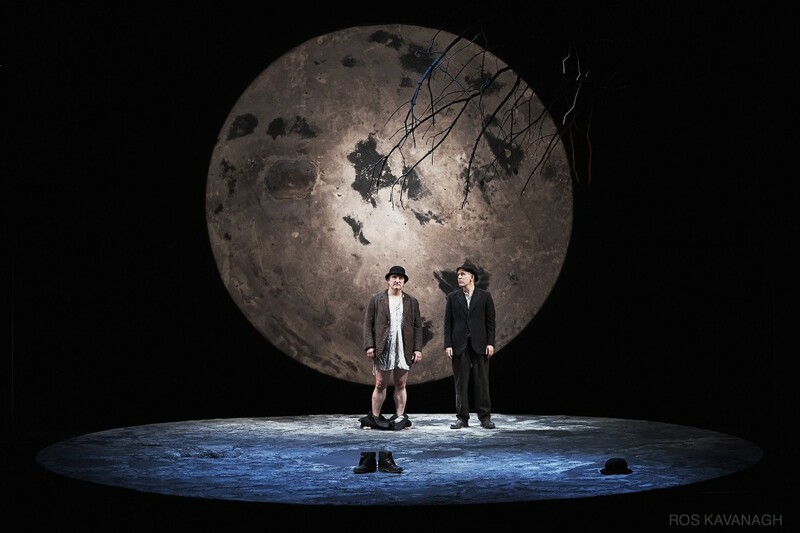 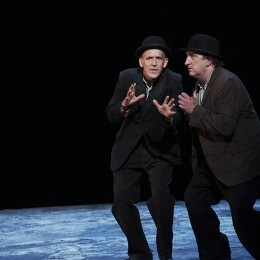 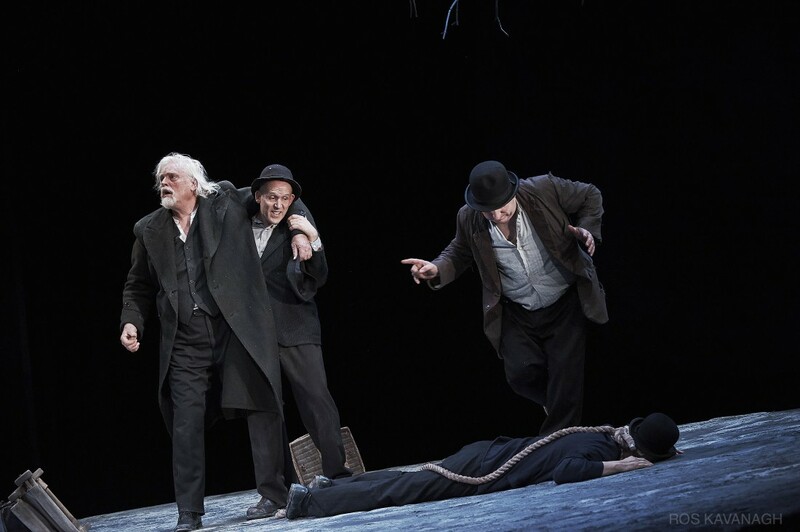 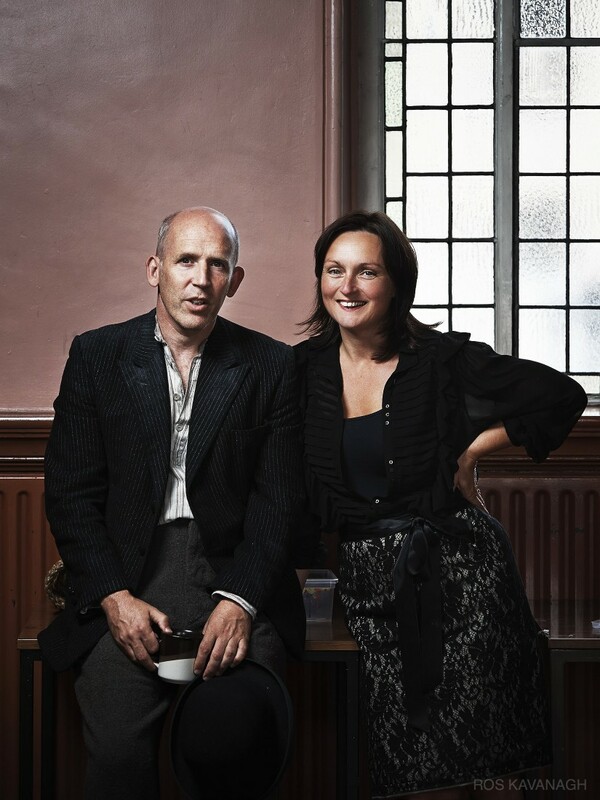 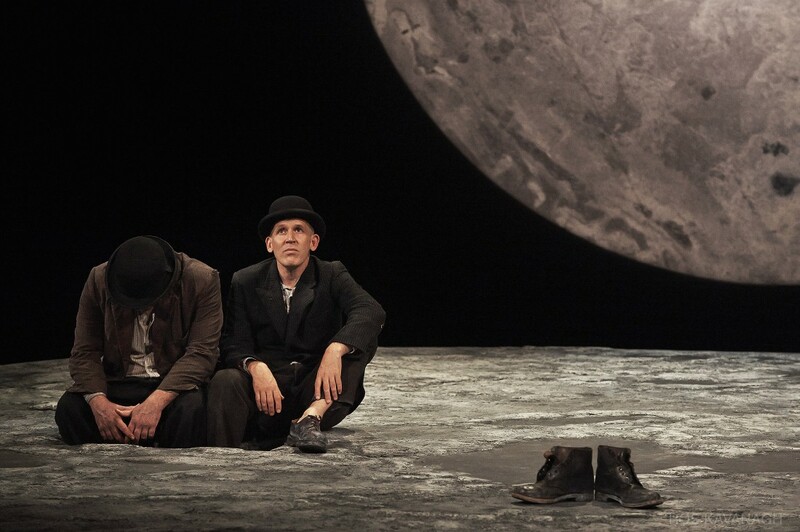 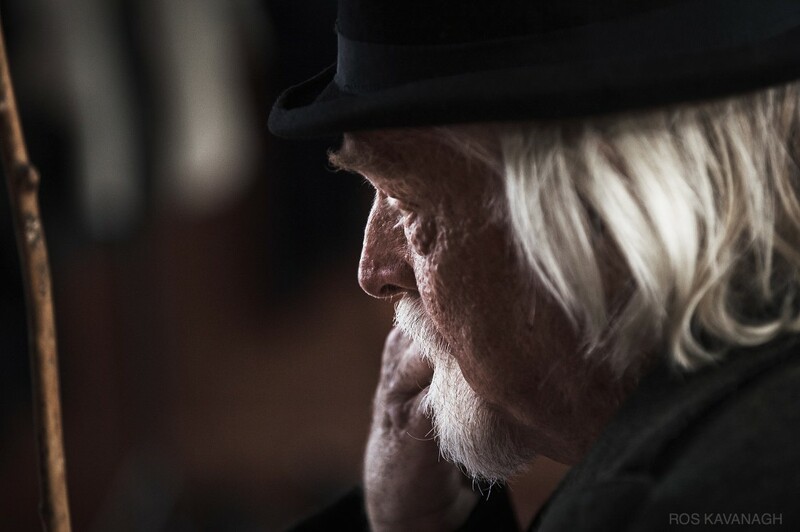 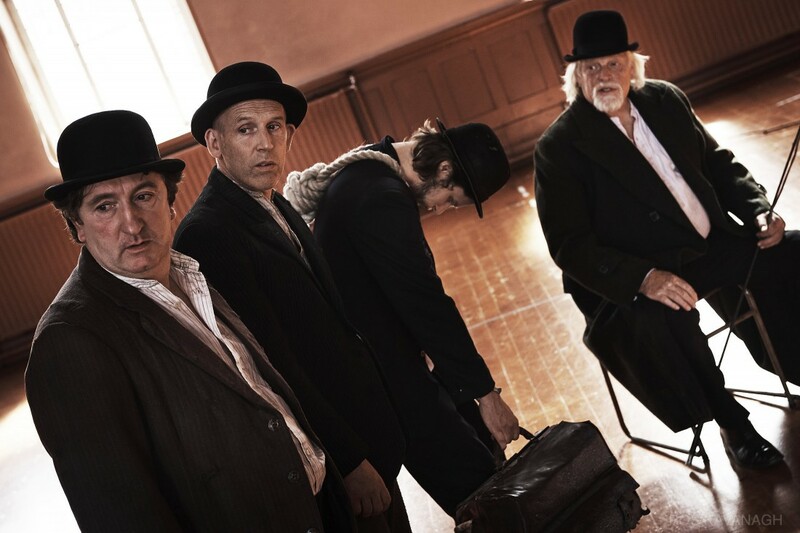 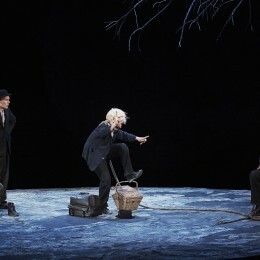 Waiting for Godot, written by Samuel Beckett and directed by Judy Hegarty Lovett. 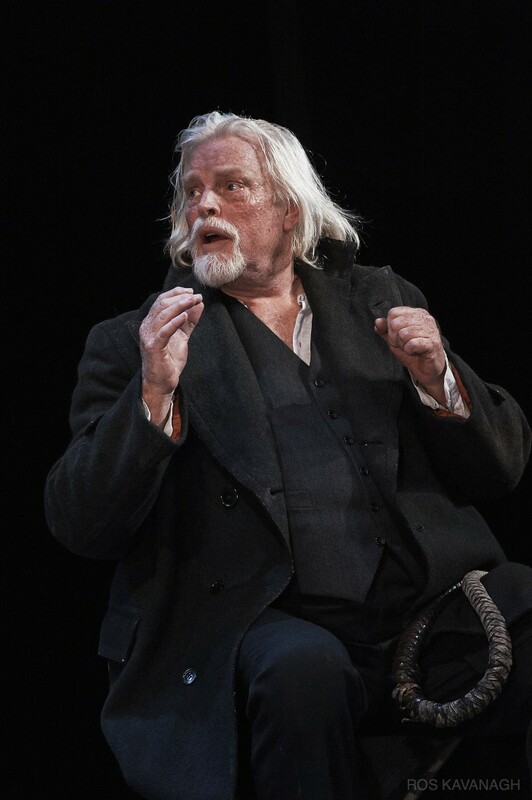 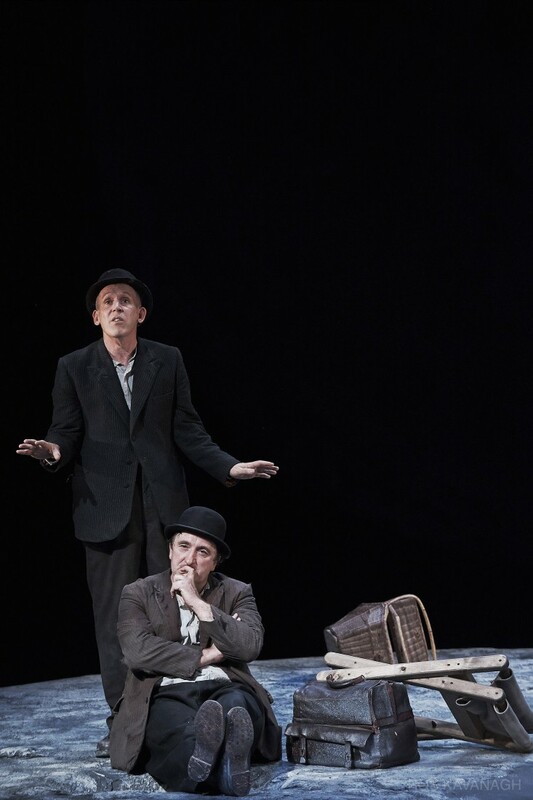 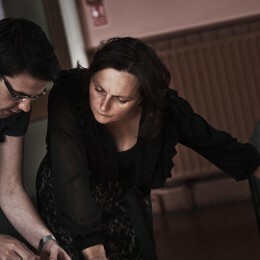 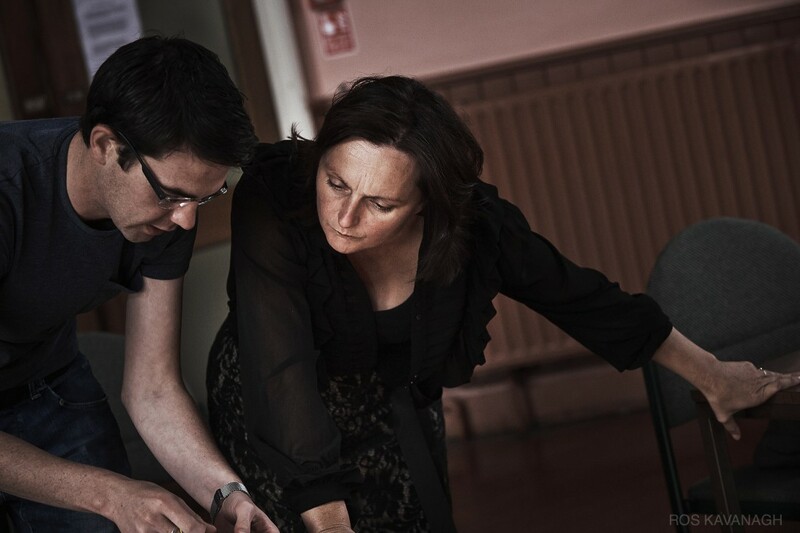 Performed at the Gaiety Theatre in October 2013. 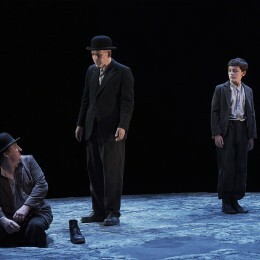 With Conor Lovett, Gary Lydon, Adam Malone, Tadhg Murphy, and Gavan O’Herlihy.